Being a semi-fan of the series, I wasn’t sure what to expect when I started reading this book. After reading it, it is clear that this is a must read series, one that is getting more interesting with every issue. 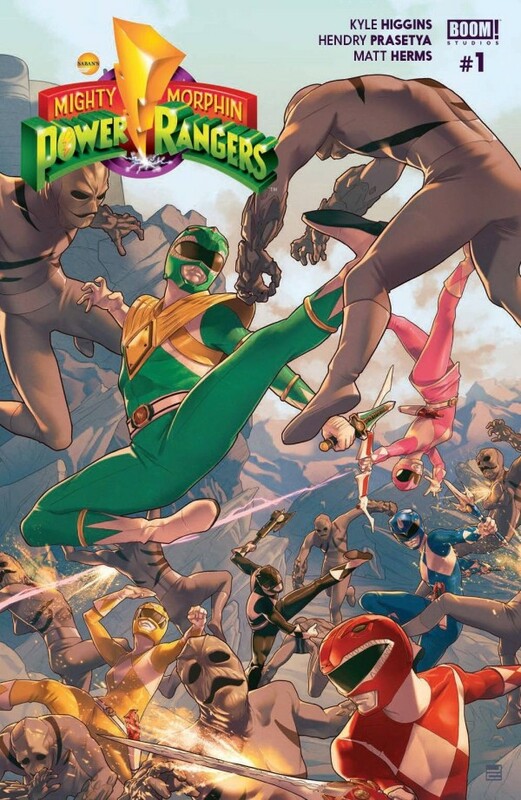 There is something fresh and exciting about this new Power Rangers series. Long gone is the corny urgency that often plagued the original television series, and brings the Rangers into a world more realistic, a world that we can understand. The series centers on Tommy, the Green Ranger who was under the control of Rita for quite some time. He is now out of her grasp, and is trying to live a normal life with his fellow teens. Well, at least as normal a Power Rangers life can be. No matter how hard he tries, he is constantly haunted by his past and is constantly trying to win the trust of his fellow teammates. A former enemy, the team tries to welcome him, but sometimes question his true motives in the process. Bulk and Skull are a main driving force in this issue, which adds some insight to the Rangers that we have never got to see before. It’s through them that we start to understand what the Power Rangers really mean to the world, and why the Green Ranger is such a mystery, and possibly even a threat. The writing in this new series is smart and the artwork is incredibly well done. Combine all of that with an intriguing story, you have a must read series, for fans and newbies alike.